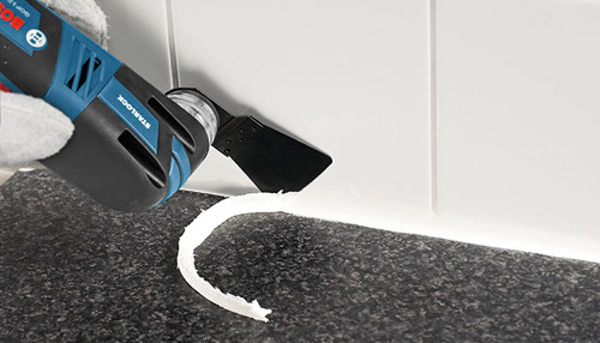 Bosch has just unleashed their latest cordless oscillating multi-tool (OMT) into the wild. The brand new GOP12V-28N Starlock Brushless 12V OMT replaces the PS5OBN (previous model) which was released back in 2010. 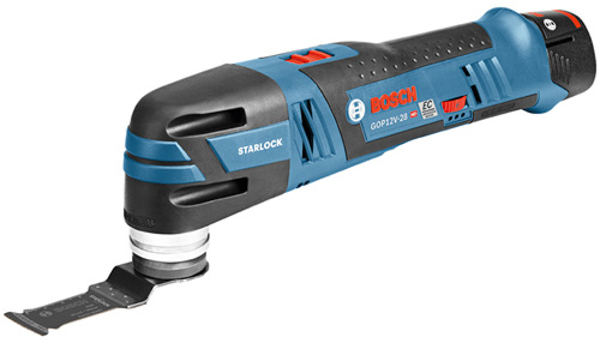 Starlock is a high performance multi-tool interface that was developed by both Bosch and Fein. 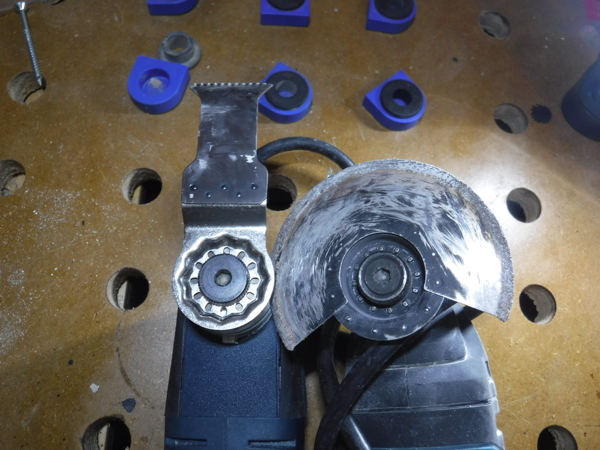 The Starlock system allows for greater power transfer from the tool to the blade. What sets Starlock apart is it’s 3d interface. The accessory connection is cupped and shaped like a bottle cap. This cup shape creates more contact surface area which creates better grip on the accessory. 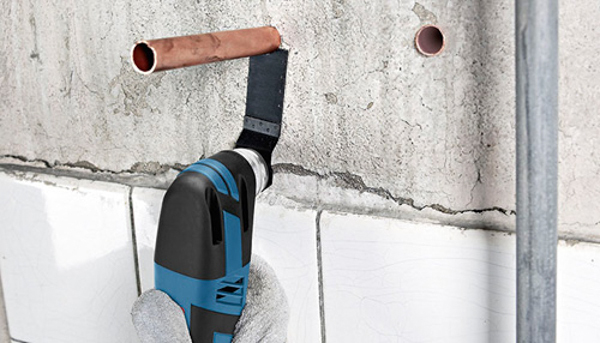 Bosch has upgraded the 12V oscillating tool to their EC brushless motor which delivers more power and increased efficiency then its predecessor. On a brushed motor, the brushes create resistance that reduces the overall power and speed. 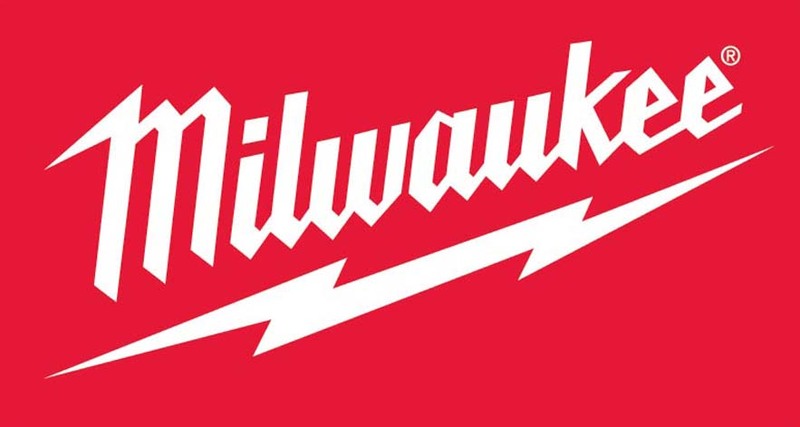 With the brushless motor, the resistance is eliminated thus allowing for optimal power output. The Bosch-exclusive Constant Response Circuitry or C.R.C makes it so the tool can maintain the same operating speed no matter the work load. The speed settings range from 5000 to 20,000 (OPM) oscillations per minute. The slide style switch is located on the top of the handle. It is easy to operate and there is no fumbling around to find it. It’s also a contrasting color from the rest of the tool, making it easy to spot. Also back is the variable speed dial. The speed dial is nicely located to the rear side. The dial ranges from 5000 to 20,000 OPM’s, maintaining your cutting speed during a important money cut is the difference between making the cut look like a million bucks or costing you money to replace that piece of material. Lastly is the battery life gauge, this gauge is located on the side of the tool and consists of 3 green lights. 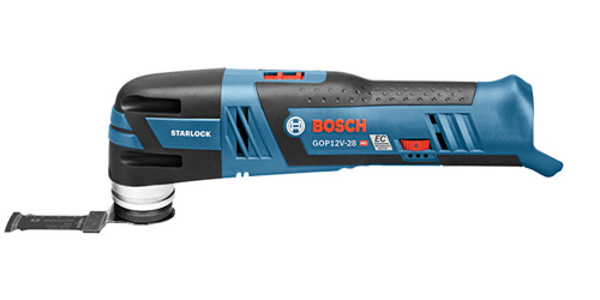 Bosch designed the 12 volt Starlock multi-tool with the professional in mind. 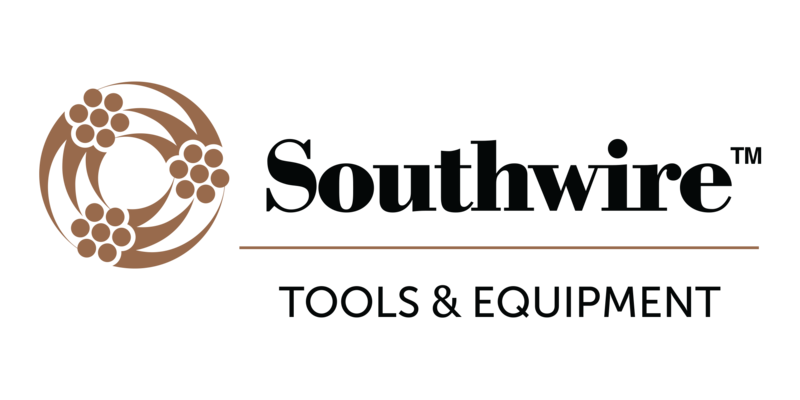 Carpenters are the primary user of multi-tools. 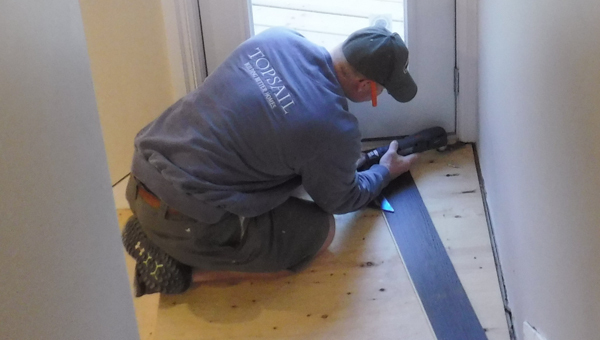 From making precise finish cuts in existing woodwork or flooring, or controlled cuts to avoid hitting hidden wires or pipes beneath walls or floors. 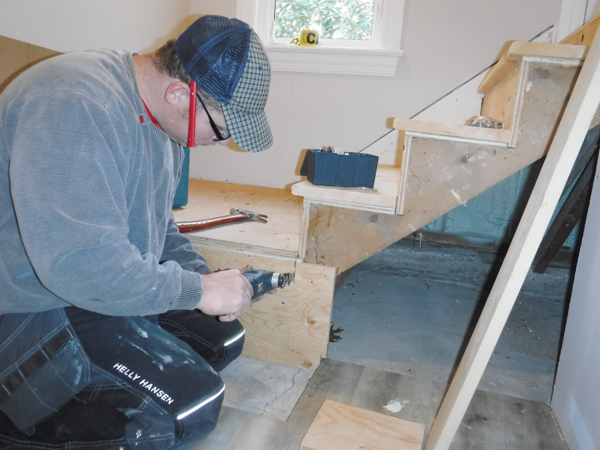 Electricians, plumbers, HVAC installers and data wiring installers all have to cut access holes in plaster and drywall regularly. A compact 12v cordless multi-tool is perfect for them. Sure there are larger cordless and even corded models but the 12v model is perfect for your everyday use. The oscillating tool felt very light weight and very sleek in the hand. Weighing in at only 1.75 lbs and is only 11-1/4” long. 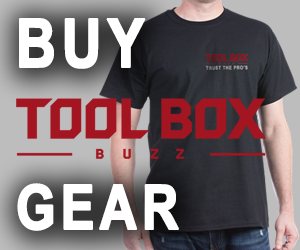 The compact size allows it to easily be tucked into larger pockets of a tool belt. The biggest change I noticed with the Starlock tool is that the blade never came loose. On the older OIS design that features lugs, blades and accessories came loose constantly. On the performance side of the ball, this Bosch 12v oscillating tool runs very smooth. The oscillating tool was much quieter. There is also much less vibration, again this is due to the Starlock interface. The power is transferred directly to the accessory instead of your hand. Less vibration of course means less user fatigue. Try any of the Starlock equipped OMTs from Fein or Bosch and the first thing you’ll notice is the lack of vibration. We were quite surprised to see that the 12v Starlock does not have the tool-less blade change mechanism. This 12v Starlock multi-tool requires a hex wrench to swap accessories. Additionally, there is no led light on the head of the tool. Including a built in LED light would help illuminate the work piece in dark areas. The 18V version has a light, omitting it from this model was an unfortunate oversight. 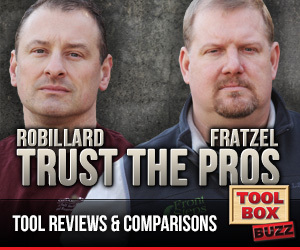 There aren’t too many times that a bare tool can entice us to enter a cordless platform. They don’t even offer it as a kit. 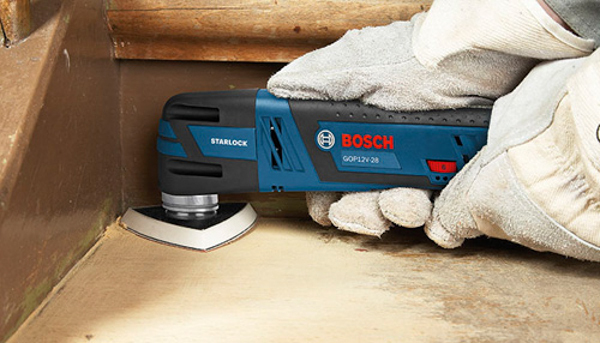 As the only cordless 12v multi tool offering the Starlock interface, the Bosch Brushless is well worth it. You’ll just have to pickup another 12V combo kit to use it but their 12V stuff is good as well. Also worth mentioning is that when you put the tool away in the L-boxx you need to take off the blade for the tool to fit inside the box. Small minus. Otherwise I think the tool is great for people who aren’t in need of a 18V machine. The power-output of the machine is very good! I bought this tool instead of 18V because it would give me access to the 12V category. In my opinion this tool also vibrates less than Bosch 18V and is much slicker and easier to grab.